It was fully restored early 2016 sunny and bright, it can accommodate 6 people view 8 surcharge. It includes a ground floor with living / dining room and a removable table that can accommodate 8 covered, fully equipped kitchen, 2 double bedrooms, toilet, bathroom. Floor with a shower, toilet, bedroom 2 pers. and mezzanine. 1 bathroom on the ground floor. 1 bathroom upstairs. A very nice property in gorgeous surroundings with a huge communal garden - only drawback no instructions ( that we could find ) for the cooker and oven. I will definitely be back. Merci pour vos appréciations .c'est avec plaisir que je vous accueillerai encore . Comfortable, well equipped gite set in amazing grounds. The accommodation comfortably fitted 6 of us and the log fire was great. Perfect location for us to explore the nearby sites of The First World War. Merci pour votre commentaire c'est avec plaisir que je vous accueillerai pour un prochain séjour. Il y a tant de sites a découvrir chez nous . We had a very nice stay in Florence's lovely gite. There are 2 bedrooms downstairs each with a queen bed and 4 twins upstairs which was perfect for us. The kitchen is well appointed, we lacked for nothing. Florence's sons even brought over a soccer ball for my boys to use. The grounds are very nice. The next village (about 3 min drive) has a boulangerie and small grocery. Overall, we had a great stay and would highly recommend! et vous en remercie . C'est avec plaisir que je vous accueillerai pour d'autres visites dans notre region . Perfect stay in a lovely property, superb grounds and very clean. Merci beaucoup ... vos éclats de rire étaient aussi un plaisir pour moi !!!!! Loved our 4 nights at Etrun. A beautiful country setting and the cottage is gorgeous. Had everything we needed for a family of five...including the open fire to keep us warm! Wished we could have stayed longer. Merci beaucoup pour votre passage à Etrun . Merci pour vos appréciations, cela fait plaisir . Peut être a très bientôt . Highlight of our stay in France. We particularly enjoyed sense of place. This is an historic estate with all the charm and mystic of Normandy. The grounds are caught in a time warp circa 1900. The residence was totally equipped to support a long and comfortable stay. Three days was too short. We look forward to returning. 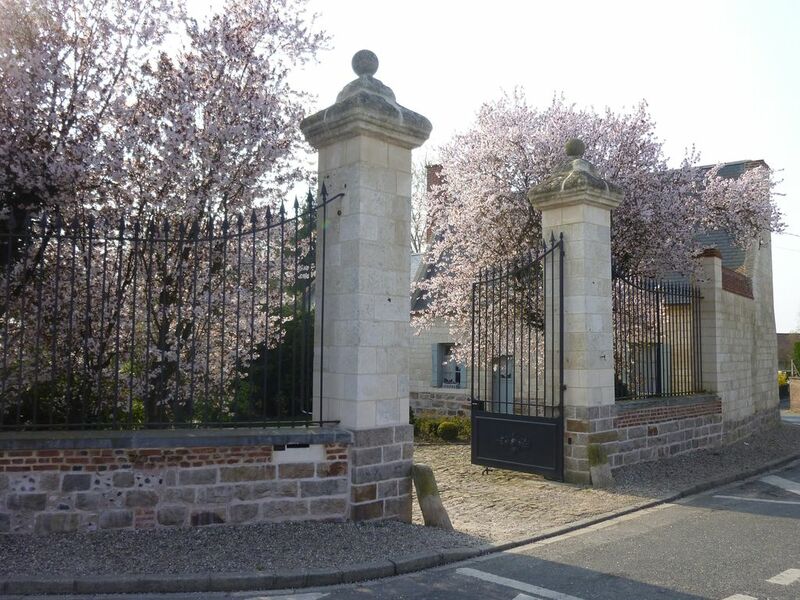 The PROPERTY is located west of Arras 7km from the city center on the axis Arras-Le Touquet, D939. Golf ARRAS 5 minutes, the Louvre-Lens Museum and the football stadium 20 minutes. PERSONNE SUPPLEMENTAIRE :au delà de 6 pers :20€/pers/séjour (maxi 2 pers) MENAGE :80 € . .